Cajun Sheet Metals is a locally owned and operated company. 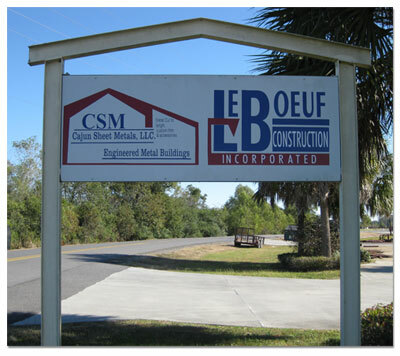 For the past eleven years, Cajun Sheet Metals has supplied sheet metal and accessories to a variety of customers, from the large construction companies to walk-in customers working on a do-it-yourself project. Our company strives to sell quality material for a competitive price. We pride ourselves on a turn over rate for material as quick as one to two days! Cajun Sheet Metals carries a wide array of metal and accessories such as, sheet metal cut to length, trim, screws, tape, etc. With a knowledgeable staff, we are always willing to help our customers with any questions they may have.